I saw this cookbook called Gingerbread a couple of months ago and as I was flipping through it, I started to realize that I wanted to make everything in the book. I had no idea how I would ever narrow it down and choose a recipe to actually make. I thumbed through it again and bookmarked a bunch of things and then, last week I had 6 egg yolks hanging out in the fridge and I knew ice cream was the answer. I saw Tracey's post about this ice cream last week and that just help verify the fact that I was going to make it. 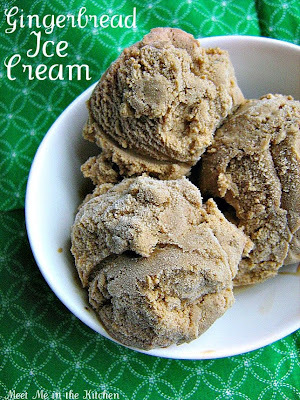 This ice cream tastes and smells exactly like gingerbread! It is loaded with spices and molasses. Fresh ginger is steeped in the milk/cream mixture, so it really has a great ginger flavor. This is the perfect ice cream for the holidays. It tastes like the holidays! It also stays nice and creamy, even after spending time in the freezer. 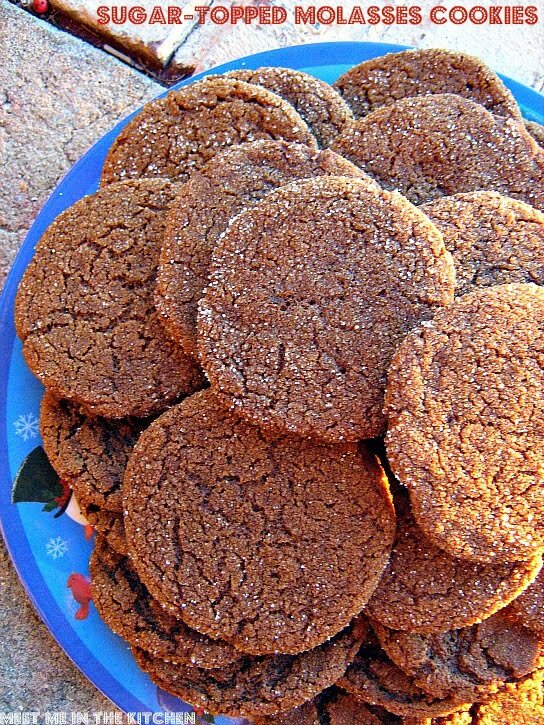 If you have a gingerbread fiend in the house, they will love this! I always want to incorporate fresh cranberries into my holiday baking somehow. I usually find a bar cookie that contains fresh cranberries and this year I was hoping to find something a little bit different. I saw a link for these Cranberry Cinnamon Pinwheels on Pinterest and I knew that they would be made for the holidays. First you make a fresh cranberry filling that contains a little sugar and some cinnamon. You have to set that aside and let it cool completely. The filling is spread over a basic cookie dough, flavored with cinnamon and then the dough+filling are rolled up cinnamon roll style. The dough has to be frozen and for good reason. I wouldn't want to try slicing these when the filling is gooey. The freezer time makes these cookies easy to slice and bake. I haven't been eating sweets for a couple of months, but I tried one of these and thought they were really good. I was surprised that my kids really liked them too. They aren't very sweet, but they have just enough sweetness to be a great cookie. 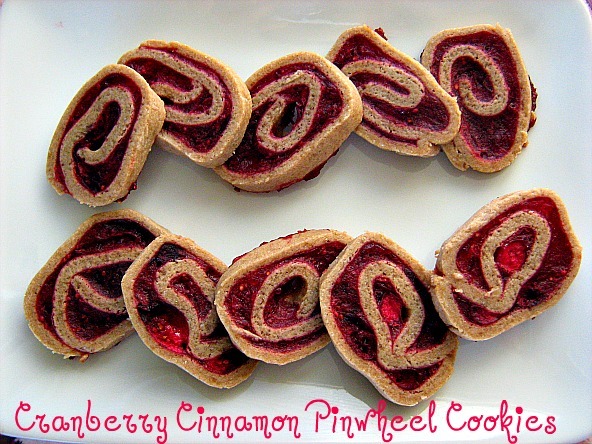 The cranberry filling is tart and delicious and the cinnamon in the dough and filling really brings it all together. Plus, they look festive and are fun to share! I saw these cookies in the latest issue of EveryDay Food Magazine and knew they were the perfect cookie for my holiday treat plates. A quick brownie-like cookie that is filled with a creamy, peppermint-chocolate filling- what could be better? These were received with rave reviews and quite a few requests for the recipe. Preheat oven to 350 degrees, with racks in upper and lower thirds. In a medium bowl, whisk together flour, cocoa powder, and salt. In a large bowl, using an electric mixer, beat 1 cup each butter and sugar on medium-high until light and fluffy, 3 minutes. Add egg and vanilla; beat to combine. With mixer on low, gradually add flour mixture and beat to combine. Place 1/2 cup sugar in a small bowl. Roll dough into 1-inch balls, then roll in sugar to coat. Place balls, 1 inch apart, on two parchment-lined baking sheets. Bake 5 minutes. 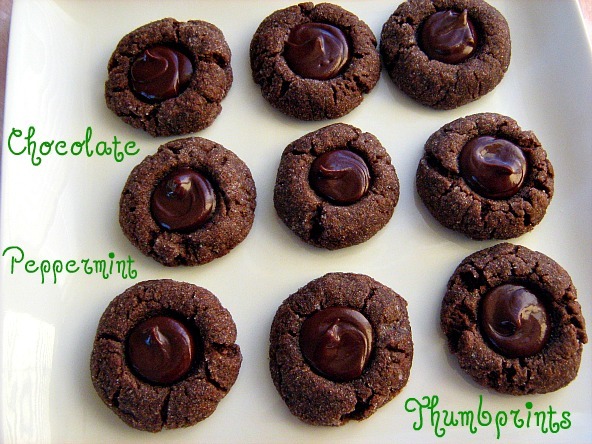 Remove sheets from oven; with the small end of a melon baller or the bottom of a small round measuring spoon make an indentation in center of each cookie. Bake until cookies are just set but still look moist, 4 minutes (do not overbake). Let cool on sheets on wire racks. In a microwave-safe bowl, microwave chocolate chips and 1/4 cup butter in 10-second increments until melted; stir in peppermint extract. Let cool until thick enough to pipe, 5 minutes. Transfer mixture to a large zip-top bag; snip 1/4-inch hole in one corner. Pipe chocolate into cookie indentations. Store in airtight containers, up to 1 week. Once again horrible, quick photos. You will have to overlook them please, because these two things are very tasty. 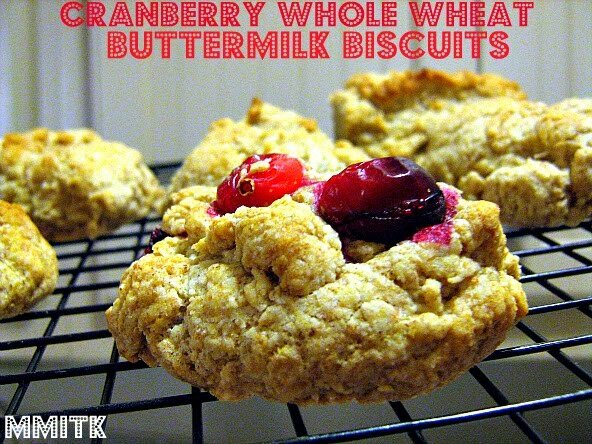 First up, Cranberry Whole Wheat Buttermilk Biscuits. My son chose dinner the other night and he wanted fried eggs, sauteed swiss chard & spinach, and biscuits. I know for a fact that these were not the kind of biscuits he wanted, but I was ready to try them, so I made half of them without the cranberries. This recipe uses whole wheat pastry flour and it makes a very tender, delicious biscuit. My daughters and I thought the ones with cranberries were very good and my son enjoyed those that were cranberry free. Second, this Sweet Potato & Black Bean Salad. I'm happy to say that I have completely overcome my dislike of sweet potatoes. The key for me is to combine them with savory and/or spicy ingredients. I made this salad for a Christmas party and it was really delicious. Pretty simple too. I didn't follow the directions exactly because I wanted to add the lime juice and olive oil bit by bit, so I could adjust the taste and I also wanted the little bites of jalapeno to be in there, not pureed. I loved this salad. Many people requested the recipe. 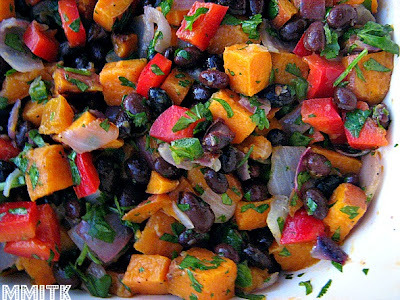 It is a fun, healthy alternative/salad that can be shared at this time of year. These cookies are a family favorite that make the holiday treat rotation every single year. 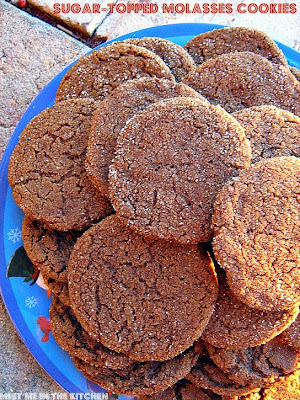 The dough is easy to mix together, can be made ahead of time, and they are just the perfect spicy/molasses cookie- crunchy on the outside and chewy in the middle. I made them again this year for a Christmas party and they were a hit. If you want an even chewier cookie, you can skip the step that flattens the cookies with a glass dipped in sugar. Merry Baking! Whisk together the flour, baking soda, salt, ginger, cinnamon, allspice and pepper. Working with a stand mixer, preferably fitted with a paddle attachment, or with a hand mixer in a large bowl, beat the butter on medium speed until smooth and creamy. Add the brown sugar and molasses and beat for 2 minutes or so to blend, scraping down the sides of the bowl as needed. Add the egg and beat for 1 minute more. Reduce the mixer speed to low and add the dry ingredients, mixing until the flour and spices disappear. If some flour remains in the bottom of the bowl, to avoid over-beating the dough, mix in the last of the dry ingredients by hand with a rubber spatula. You'll have a smooth, very soft dough. Line two baking sheets with parchment or silicone mats. Put the sugar in a small bowl. Working with one packet of dough at a time, divide it into 12 pieces, and roll each piece into a smooth ball between your palms. One by one, roll the balls around in the bowl of sugar , then place them on one of the baking sheets. Dip the bottom of a glass into the sugar and use it to press down on the cookies until they are between 1/4 and 1/2 inch thick. Bake the cookies one sheet at a time for 12 to 14 minutes, or until the tops feel set to the touch. Remove the baking sheet from the oven and, if the cookies have spread and are touching, use the edge of a metal spatula to separate them while they are still hot. Transfer the cookies to a rack to cool to room temperature. Repeat with the second batch of dough. Storage: The cookies will keep for at least 1 week in the cookie jar. Wrapped airtight, they can be frozen for up to 2 months. This month's Cooking Light Virtual Supper Club theme was Holiday Hors d'oeuvres, chosen by Sandi. You can see the full menu by visiting Val's blog here. 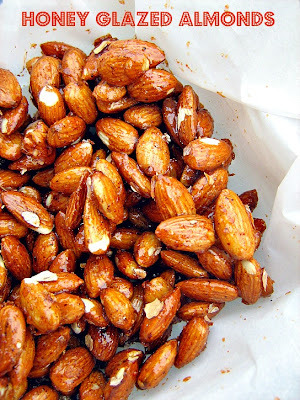 I decided to make Honey Glazed Almonds. This recipe is very easy and takes about 10 minutes to throw together. You toast the almonds in a skillet for a few minutes on the stovetop and then mix together the honey & spices. That mixture is warmed in the microwave and then added to the almonds. You just stir and cook for 2 more minutes and then spread the nuts on a piece of parchment to let them set up for 10 minutes. They couldn't be easier! I didn't have chipotle chili powder, just plain chili powder and I was wishing these nuts had a little bit more spice. Next time I will double the spice. These nuts are slightly sweet and crunchy and they make the perfect finger food. They would make a great addition to any holiday party or table, and would also be great as a gift or snack. Very versatile. It's that time of year when everyone starts making cookies, candies, and other treats to share with their families and friends. Fun, fun, fun. The hard part is deciding which treats to make! When my sister was here visiting about 2 months ago, we made these blondies together. I decided to save them until the holidays because I thought they would be a great addition to any party, plate, or whatever else you all might have going on this month. 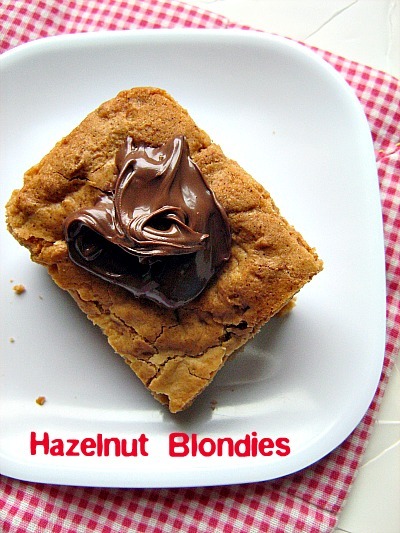 These are a very basic blondie with hazelnuts adding some extra texture and flavor and they are topped with Nutella. My sister ending up taking them back with her and sharing them with her co-workers and everyone really enjoyed them.